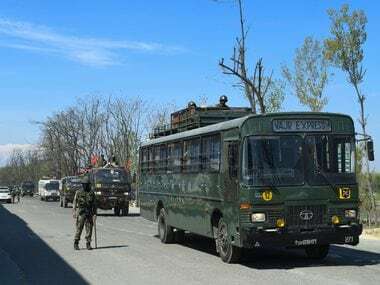 Srinagar: Authorities on Tuesday said that 24 rescue teams and 35 dog squads would be deployed along the twin routes of Pahalgam and Baltal in south Kashmir Himalayas as part of efforts to ensure smooth and peaceful Amarnath pilgrimage. The 40-day annual yatra to the 3,880 metre high holy cave shrine of Amarnath is set to commence next week. "A total of 24 rescue teams will be deployed during the forthcoming yatra. These teams would be drawn from the personnel of J&K Armed Police, State Disaster Response Force (SDRF) and the National Disaster Response Force (NDRF) and equipped with all rescue equipment including Oxygen Cylinders," Chief Executive Officer of Shri Amarnathji Shrine Board (SASB) Umang Narula said. 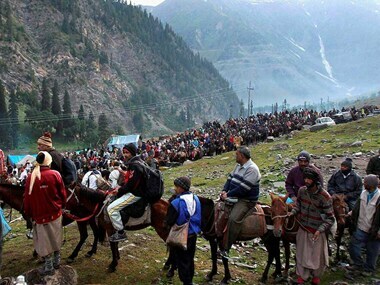 The yatra is scheduled to commence from traditional 28.2 km Pahalgam route in Anantnag district and 9.5 km Baltal track in Ganderbal district on 29 June and will end on 'Raksha Bandhan' on 7 August. Narula, who reviewed the arrangements to be made for providing rescue facilities in case of any emergent situation during the yatra, said eight mountain rescue teams from the Armed Police would be deployed to help women and sick pilgrims in negotiating difficult stretches on the yatra routes. In addition, a total of 12 avalanche rescue teams, 11 teams of the SDRF and one team of CRPF, would be deployed along both the routes, he said. 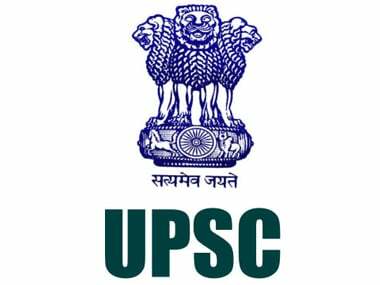 "Seven teams would be deployed along the Pahalgam route at Chandanwari, Pissu Top, Zojibal-Nagakoti, Sheshnag, Mahagunus Top, Panjtarni, Holy Cave and five teams along the Baltal route at Baltal, Domel, Railpatri, Brarimarg and Sangam Top," he added. Besides, four search and rescue teams of the NDRF are also being deployed at Pahalgam-Chandanwari, Sheshnag, Panjtarni and Baltal, he said. 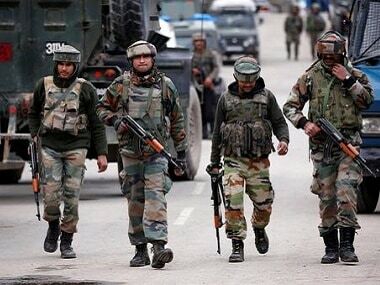 Narula said 35 Dog Squads would be deployed by the Army, state police, BSF and CRPF along the Pahalgam and Baltal routes, of which 27 would be on the Pahalgam axis and eight will be stationed on the Baltal route. "These dog squads are used for carrying out anti-sabotage checks and other security related duties," he said.